Outside of the Western world, Xiaomi is the king of Android. There’s a very good reason for this: they make Apple-quality devices at half the price. 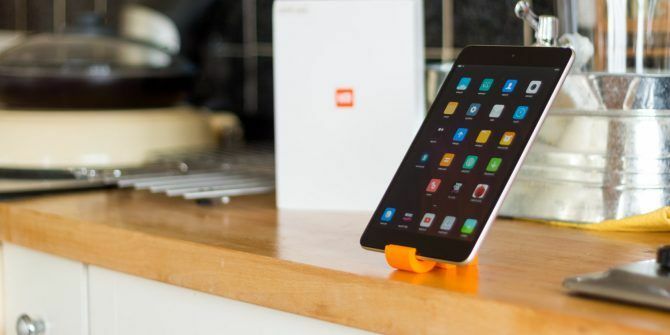 The MiPad 3 is their latest offering to the mini tablet market, and follows on from previous successes Xiaomi Mi Pad 2 Review Xiaomi Mi Pad 2 Review The Xiaomi Mi Pad 2 is a clear iPad mini rip-off, but this budget tablet might actually be worth your time. Read More . The MiPad 3 is available for $230 from GearBest, and it’s worth every penny. From a design perspective, the MiPad 3 is an obvious clone of the iPad Mini. It’s got the same screen size, the same resolution, and is only 30g heavier and 0.9mm thicker. Like the iPad Mini, it’s also made of a single block of aluminum alloy. The only distinguishing feature is the presence of the Mi logo on the back, not an Apple. In every aspect, this is a premium-looking device. There’s only one model currently available, and that’s the Champagne Gold 4/64GB configuration. Without an SD-card slot, 64GB is your absolute limit, though realistically that’s more than enough for a mini-tablet. The power and volume protrude slightly from the right side; with the USB-C port sitting at the bottom, and the 3.5mm stereo port on the top left. 3 capacitive buttons sit on the front: Recents, Home, and Back. If you’re unfamiliar with the mini-tablet form factor, don’t expect to hold and manipulate the MiPad with one hand. In fact, you should probably just go ahead and buy a rubberized case too, because the brushed metal is just difficult to grip. Such is the way with modern electronics. Though the core of the system is Android 7.0 Nougat 7 Reasons You'll Want to Upgrade to Android Nougat 7 Reasons You'll Want to Upgrade to Android Nougat If you're thinking about making the jump to Android 7.0 Nougat, maybe these features could convince you. Read More , Mi branded devices run their own custom skin called MiUI. For the uninitiated: it’s very similar to Apple’s iOS, with icons splayed over home screens and a permanent bar at the bottom for up to 5 apps. It’s colorful, playful and easy on the eyes. Obviously, those looking for a completely native Android experience, similar to what they may already have on their modern smartphone, will not find it here without installing a custom ROM (which will invalidate your warranty). But for those of us perhaps coming from an iOS device or much older versions of Android, it’s a pleasure to use and felt quite comfortable. As far as I can tell, there’s no particularly quirky features added by MiUI – you still have the basic three capacitive keys for Recents, Home and Back, at the base of the device. The LED behind them fades out after a short while. Though it required extra setup steps, long-press on Home for Google Assistant can also be enabled. The pull down shade has all the usual options, too. So apart from how the launcher looks, it’s all quite normal, I assure you. During setup, you’re also asked to sign in or create a Mi account, which apparently I already had. The MiCloud features emulate those offered by iCloud, with services like device backup and remote location monitoring. The Mi Cloud service requires permissions to some fundamental things like SMS. Whether or not you’re happy giving those over to a Chinese company is up to you. Before you can actually use it through the online portal, you’ll need to upgrade your account security by walking through a series of personal information and confirmation codes sent to your email and over SMS, as well as mandatory setting of 4 additional security questions. Of all the security setup procedures I’ve seen, this is one of the most comprehensive. Sadly, Find My Mi Device didn’t actually work for me, probably because there’s no GPS in the MiPad, though I did set it to report location. Out of the box, Google Play is installed, but there’s no YouTube or other common Google apps, like Chrome. After updating Google Play services, installing those was trivially simple. The MiPad 3 is one of the smoothest performing Android tablets I’ve tested yet (though obviously don’t expect it to compete with flagship devices). The UI is consistently responsive, and apps launch quickly. Antutu scored the device just over 80,000. GeekBench scores it reasonably at 1567 single core, 3622 multicore, and 3186 for the GPU compute. More important than raw numbers though: at no point did I feel frustrated by app launching times or buttons not responding to my touch, though Chrome experienced a little lagging on occasion. The GPU is fairly weak however, and while something like Zombie Driver is fine, intense games like Asphalt 8 struggled to run at a high frame rate. Our battery testing involved streaming live BBC News at full volume and full brightness, and the device managed a very impressive 8.5 hours of playback. Their marketing in fact claims 12 hours of video playback, which would appear to be optimistic but not far off the truth if you take into account the power used by Wi-Fi streaming during our test. This fantastic battery life is undoubtedly attributable to the multicore MediaTek MT8176 CPU, which can ramp up or down performance and power usage depending on the task at hand. You’re not going to get 12 hours of 3D online gaming, but for local video playback, that’s certainly possible. The only real weirdness I did experience in two weeks of testing was that embedded YouTube videos refused to play when maximised fullscreen, but played fine through the YouTube app. The IPS display is bright and crystal clear, at 326 pixels-per-inch (exactly equivalent to “Retina quality” on iDevices). Like most glossy tablet displays, it’s almost impossible to view under full sun, and loves to collect fingerprints. The MiPad 3 is great for reading – just not outside. Coupled with the otherwise gorgeous screen are a pair of speakers on the bottom. Consequently, when watching media in landscape mode, you’ll hear audio from only a single side. But they more than make up for the messy stereo with sheer loudness. That said, while the screen’s brightness and high pixel density are lovely, there’s another factor making it less than ideal for video playback. The aspect ratio means that watching movies or TV in landscape mode will result in black bars at the top and bottom, despite the actual hardware having a very thin bezel there. When combined with the chunky half inch or so of bezel on the left and right, the video real-estate is a lot smaller than you’d think it ought to be. 5 years ago, I would’ve laughed at the idea of someone taking a photo on their tablet, but it’s now officially a thing. I’m pleased to report the camera on the MiPad 3 is surprisingly good – better than many mid-range smartphones. Most people will be more than happy with this to provide all their photographic needs, and nothing about it says “budget”. This was taken on a bright summer’s day. It’s not HDR, so the sky is overexposed, but overall it’s a great camera sensor. 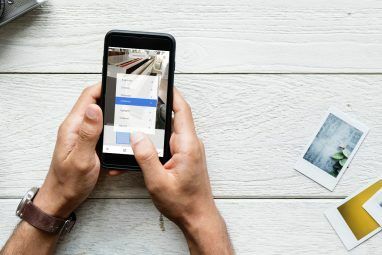 Although it doesn’t have dual camera sensors, it does feature a quite intuitive background blur mode in which you can drag a rough rectangle around your subject, and the rest is blurred out. It’s a decent enough way of emulating a bokeh effect, and you can see the results below. The sensor also handled fairly low light in my basement “office”, with the shot here taken using the special fake bokeh mode. The front-facing 5MP camera isn’t going to win you any selfie awards, but it’s perfectly functional for video chats. Should You Buy a Xiaomi MiPad 3? It’s rare to find a device I actually want to keep using after reviewing it, but the MiPad 3 is one of those. The price is right – in fact, it’s better than right, since it’s currently in the flash sale for $230. The performance is rock solid, and the battery will last all day. All you need to do is learn to love MiUI. You’ll find a great mini tablet. However, those looking for a device primarily for media playback should look elsewhere, as the aspect ratio and speaker placement is less than ideal. It’s also a very incremental upgrade over the MiPad 2: if you already own one of those, you can definitely skip this generation. Explore more about: Android Nougat, MakeUseOf Giveaway, Smartphone Photography, Xiaomi. I don't know about custom rom but rooting the device is allowed and does not void the warranty. If you don't like MiUI then you have any number of choices for a launcher on the google. play site. Majority of Android users do install a different launcher of choice. I have been using a "Xiaomi Redmi 2 Prime" for the past 2 + years. Till date the phone is almost as responsive as on day one. I would attribute a very slight delay to a few of the added in apps like whatsapp. While I was extremely uncomfortable with Samsung's UI on my previous Galaxy Grand i am very comfortable with MiUi 8.x. Don't need to even try any other launcher. Most of the built in apps are very well done so one does not need any of the free (full od ads) or paid apps. Believe me it would be worth every penny you spend. Just wish the author had tested and commented on performance of Google Duo on it. BTW how different do you expect the current crop of tablets to be so far as visuals are concerned? At least it does not sport a totally lame OS like iOS that won't allow me to do practically anything. Can this device be used to replace a smart phone. It is too big for a pocket, but not too big to carry in one hand. Having a "phablet"? would be more convenient than both types of devices. This one seems to be both big enough and small enough. So what are readers thoughts on this? It's a good tablet but the screen is not so good, there is a lot of color bleed on the top side, you can literally see the light from behind the screen, at first, I thought the device has a default but no, all of them are the same! I've been to a xiaomi store in China, there are 5 of them on a show table! all of them have the same light bleed. Well, the price is okay for such a device but it is not for everyone! Hi. At the end of the video you say the wrong price for the device...340 USD..
Yeh, my bad - the price was $330 when I started reviewing it, but went down to $220! Bargain! Thanks for the write up! I am looking for an android tablet that's fairly cheap yet has most of the hardware of the last year or so. This one seems very nice for the price but to bad the size is so small, would love to see this in a regular size with a 9k battery for maybe another 100-150 bucks and I would have been sold. I had high hopes with the latest Samsung tablet but they did nothing special and asking a little much for what I am looking to spend.